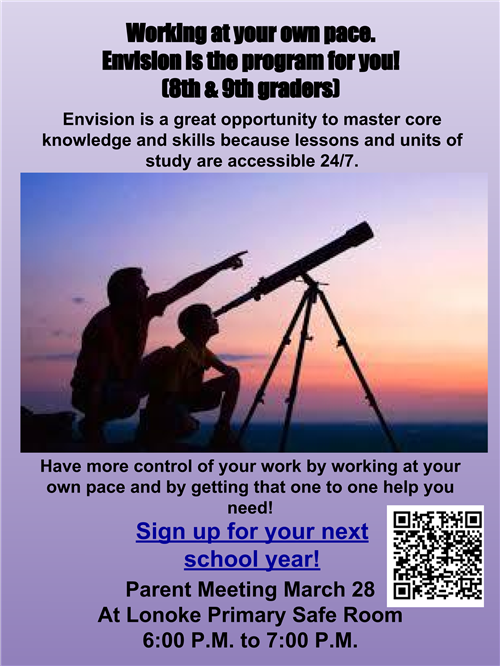 Envision Academy deadline to enroll has been extended to April 30! Lonoke High School Academic Awards Ceremony will be held Tuesday, April 30th at 6:00pm in the Gina Cox Center. Students received invitations to take home in their English class. This event is by invitation only. If they received the invite, they will be receiving an award. Parents, family, and friends are invited to attend. If you have any questions, please email amanda.platt@lonokeschools.org.